Watch the trailer and fill the gaps. Then match the words with the definitions. After all there is a short grammar review for 'used to'. The above downloadable printable was created for high school students, elementary school students and adults at Pre-intermediate (A2) and Intermediate (B1) level. 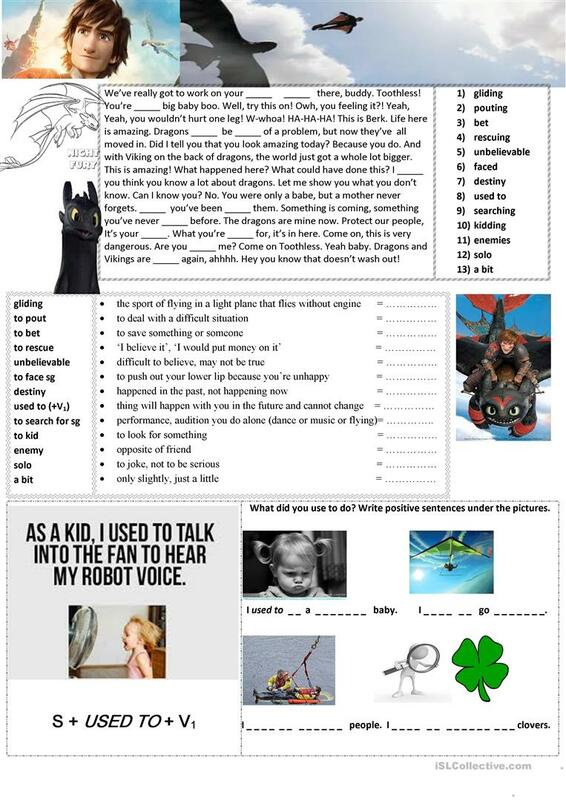 It can be used for working on your groups' Listening skills.